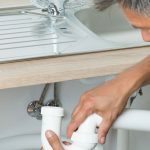 Trusted Emergency Plumbers in Birmingham Professionalism and politeness may not be the first thing people think of when it comes to plumbing, but for us, it is one of our most valuable assets. For most homeowners, plumbing presents some problems. But with the Emergency Plumbers in Birmingham that we have on our payroll, we can provide you quality plumbing services that bring joy and meet your expectations. For more than 10 years, our dedicated team of professional plumbers has been rendering invaluable services from a boiler repair a replacement tap, and more to the satisfaction of our clients. What We Do ? We are a team of experts in emergency plumbing, blocked toilet, sinks, baths and gas related work. We have much experience working on both old and modern central heating systems, and we will deploy our expertise and insight in handling your plumbing work. Also, we offer professional services in the area of gas appliances such as cookers, boilers, and fires. Indeed, your search for an emergency plumber is made easy with our versatility and professionalism. Why Us? Quick Response: Most people who were looking for plumbers in Birmingham were thrilled to discover our 60-minute response to local emergency plumbing repairs. Our dedicated plumbers reside in Birmingham, and fast response will never be an issue. 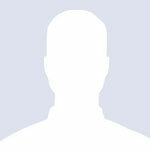 They are not only quick to respond to your request but will also provide top-notch service any day and anytime. Customer service comes high on our list. Across the board, we have found that punctuality is a crucial aspect of customer service. 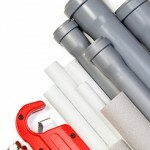 The experience we have gained over the years is not only based on plumbing repairs. Being punctual polite and easy to get on with goes a long way. We try to put an enthesis on customer relations our aim is to provide a value of money service. On occasion, this may require a follow-up visit to a repair that is not completely resolved at no extra cost. Our aim is longevity with our customers by delivering 100% effort each time we attend a callout. Ideally as a service provider delivering a service that satisfies or exceeds the consumers expectations should indeed be the ultimate goal. Experienced: We have got many years of experience working in the residential as well as commercial sector, providing a comprehensive central heating and plumbing repair services. In fact, our emergency plumbers in Birmingham have many years of experience working within the heating and plumbing industry. Affordable Rate: We have developed a transparent charging system at competitive and economical rates. We pride ourselves on no hourly charges, and we do not charge for call out. We only charge for the work we do not for turning up! Prices are based on the criteria of the work to be done. Indeed, we have dedicated emergency plumbers in Birmingham on our team that are committed to providing you with the best possible service.